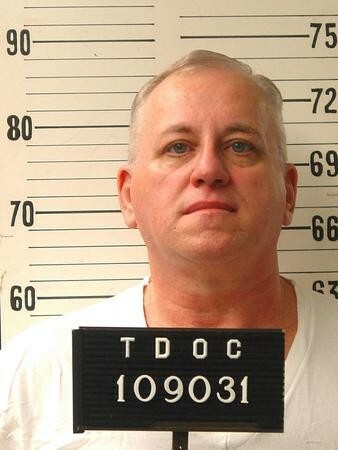 Don Johnson is scheduled to be executed by the state of Tennessee on May 16, 2019, for the 1984 murder of his wife, Connie, in Memphis. Connie’s daughter, Cynthia, is a frequent speaker for TADP’s Sharing Our Stories program and is asking Governor Lee to spare Don’s life. Over the past thirty-five years, Don has embraced the Christian faith and become a model inmate. He is a force for good on death row and shares his faith with others, in prison, in the community, and around the world. Don profoundly hurt Cynthia, his stepdaughter, by taking her mother’s life when Cynthia was only seven years old. For years, Cynthia had hoped for Don’s execution, but, in 2012, all that changed. She visited Don on death row to tell him how much he had hurt her and to unleash her full anger. Her intent for the visit was to “let him have it,” and then leave. And though Cynthia boiled over with rage at Don, after she had the opportunity to tell him all the things that she needed to say, she heard a voice speak to her, “Let it go.” In that moment, Cynthia forgave Don and found that with forgiveness, came her own freedom. Cynthia asks that Governor Lee do the same and spare Don’s life. Today Governor Lee received Don’s official request for a commutation of his death sentence. Please visit Don Johnson’s clemency website and take action now on his behalf.